What Are Your Automotive Goals This Year? On New Year's Day, In the midst of reminding ourselves what we didn't accomplish last year, we often vow that this will be the year we <fill in the blank> . What are your automotive goals for this coming year? New Years Day is a time of fresh starts and new beginnings. We have a whole year ahead of us full of promise and motivation to do the things we've always wanted to do. We set goals and remind ourselves of our aspirations amidst Hams and Hangovers and tell ourselves this will be the year we accomplish our goals. Here at Jalopnik, we aren't worried about whether you quit smoking, or actually go to the gym you join, but we do want to know what your automotive goals are this year. Maybe you want to buy a new car, fix your old one, or just keep your fingers crossed you don't have to do either. Maybe you want to change your own oil for the first time or swap the engine you've always really wanted into your pride and joy. Perhaps you want to avoid driving too fast to keep your driving license, or maybe this is the big year when you get your first shot at getting one. Maybe this is the year when you finally chop your daily driver into a car/truck hybrid, or start selling body parts to afford the old and to this point unattainable vehicle of your dreams. Whatever they may be, big or small, what are your automotive goals for this coming year? 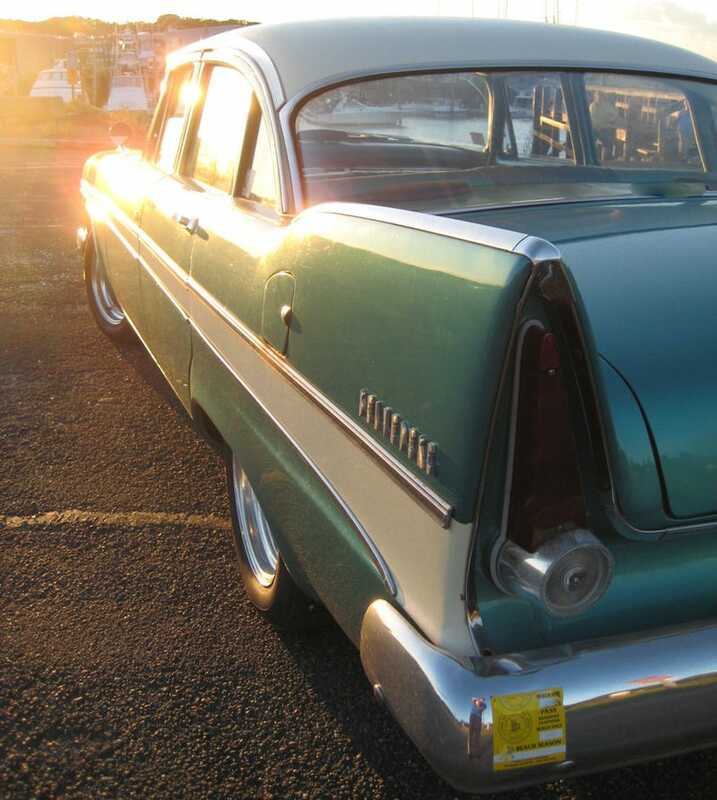 My main automotive goal this year is to get my beloved 1957 Plymouth into tip top road trip shape. I spend a big part of every summer driving my Plymouth around the cape that rust remembered, but last summer I didn't take the car on as many off cape adventures as I would have liked. This is primarily due to a steering box that badly needs to be rebuilt, an increasingly temperamental points based ignition system that needs to be updated, an emergency brake which can't be trusted and a car owner who has been avoiding dealing with these tasks. This year I'm going to remedy each issue early in the spring and have a car which goes straight, starts quickly, and can be parked on a slight incline (no park on a push button automatic). Once I do, I'll be focusing on getting the Bumble Bee Valiant moving and attending as many car shows, cruise nights, swap meets, car auctions and other events as possible. Nothing too ambitious, but it's good to keep your goals within reach right? So tell me, what are your automotive goals for this coming year?